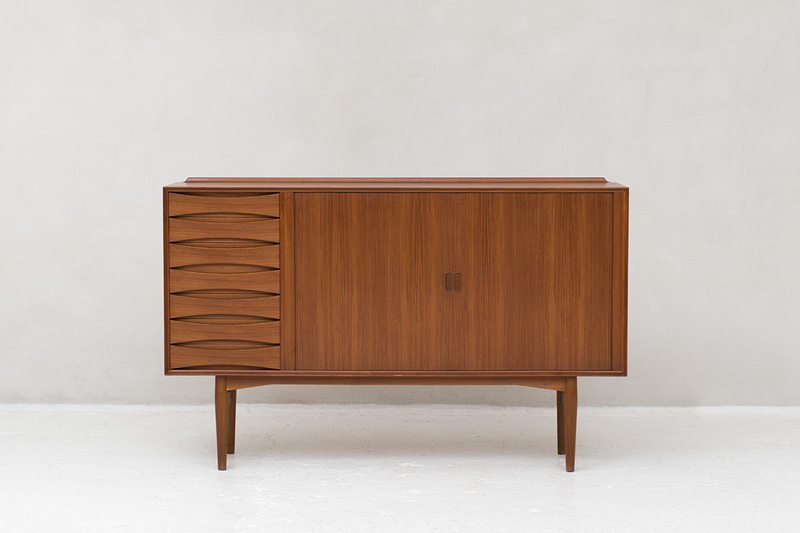 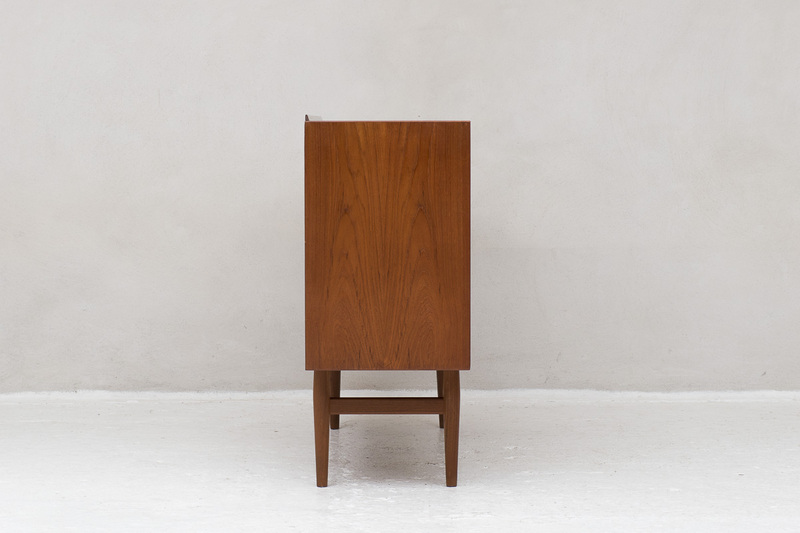 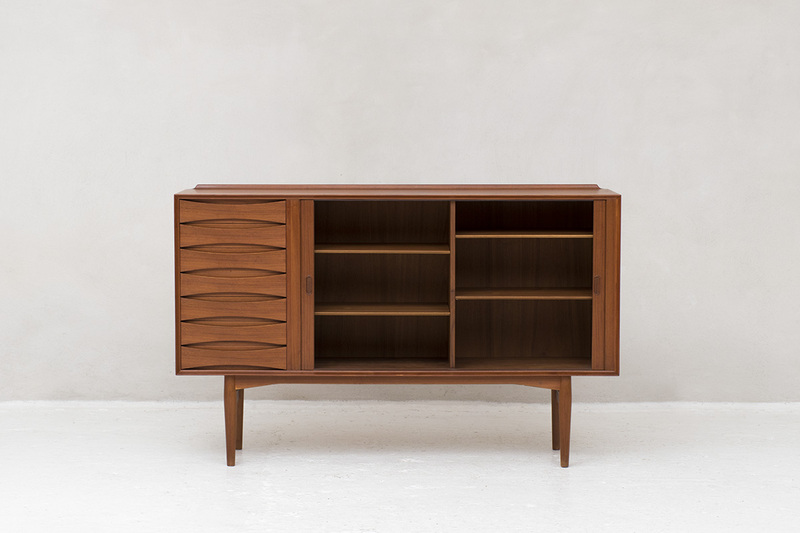 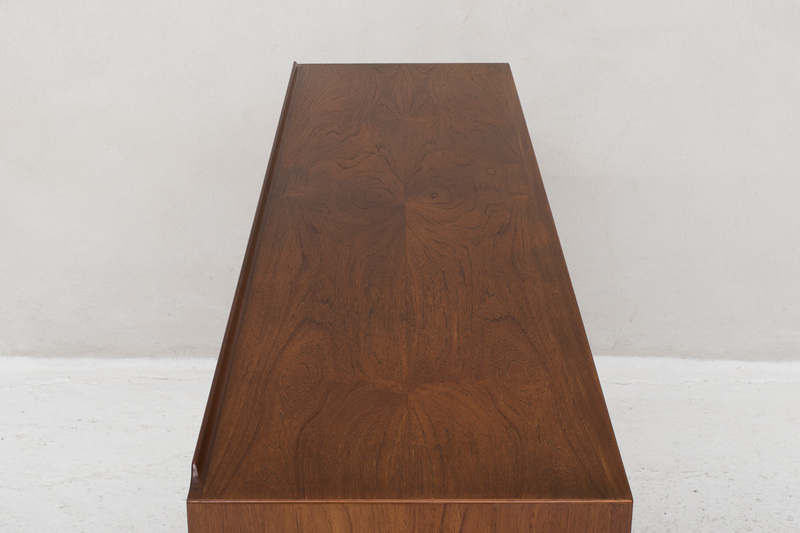 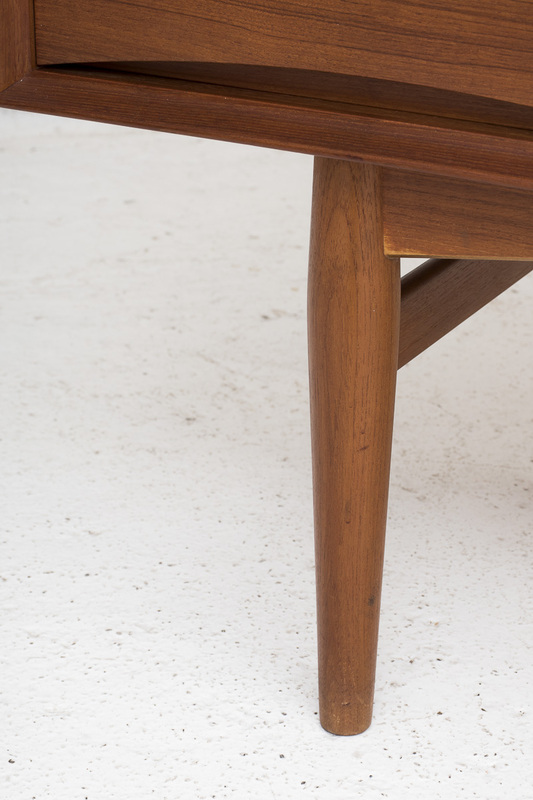 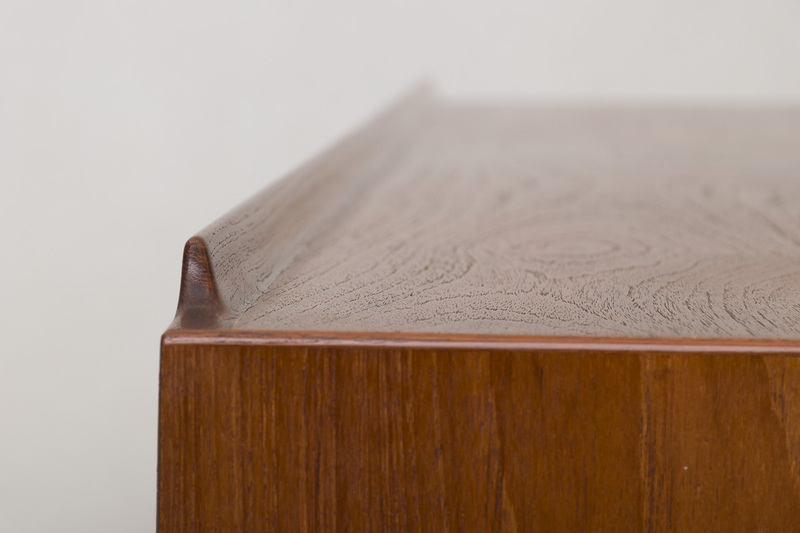 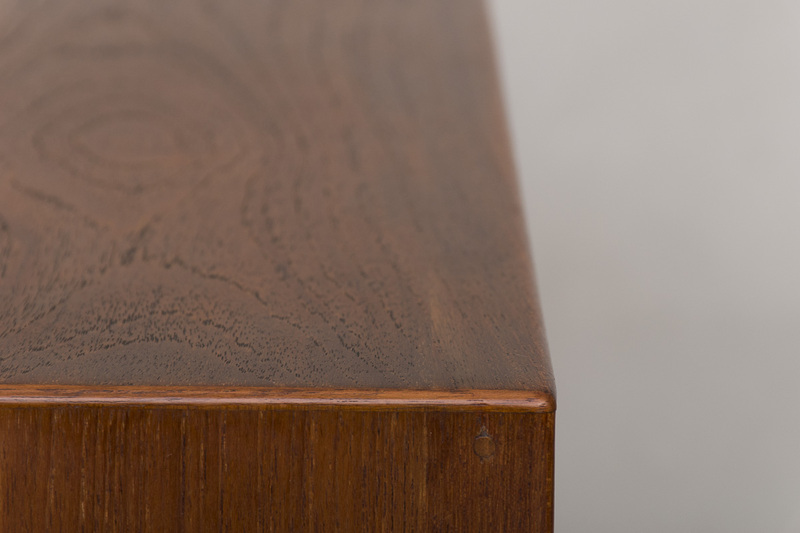 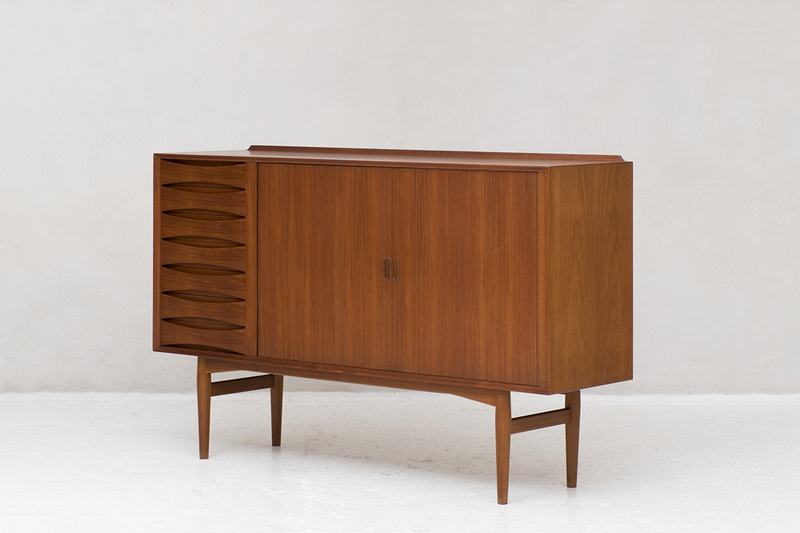 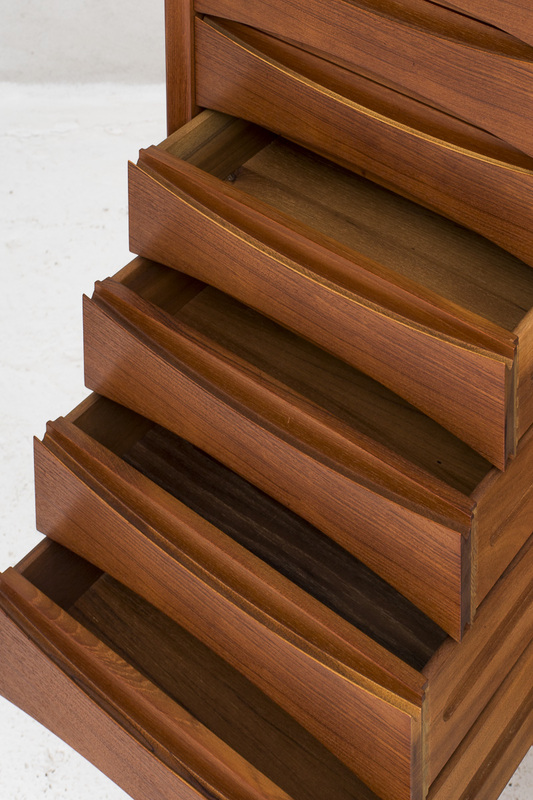 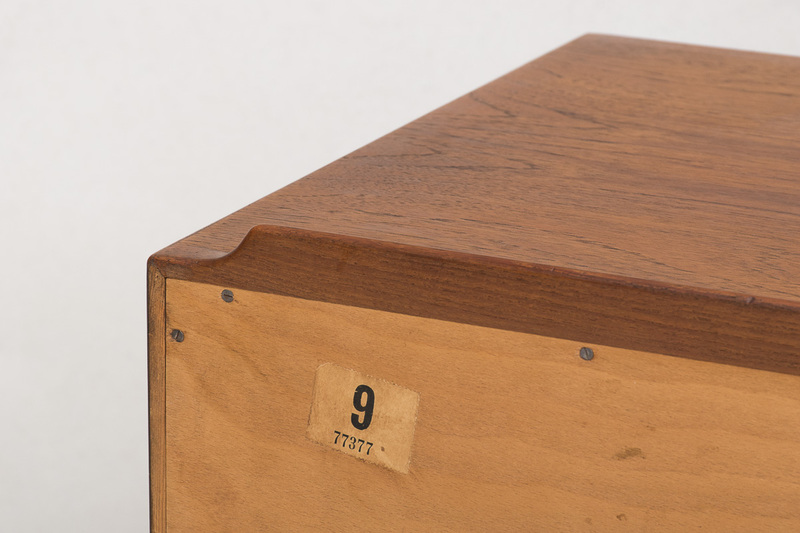 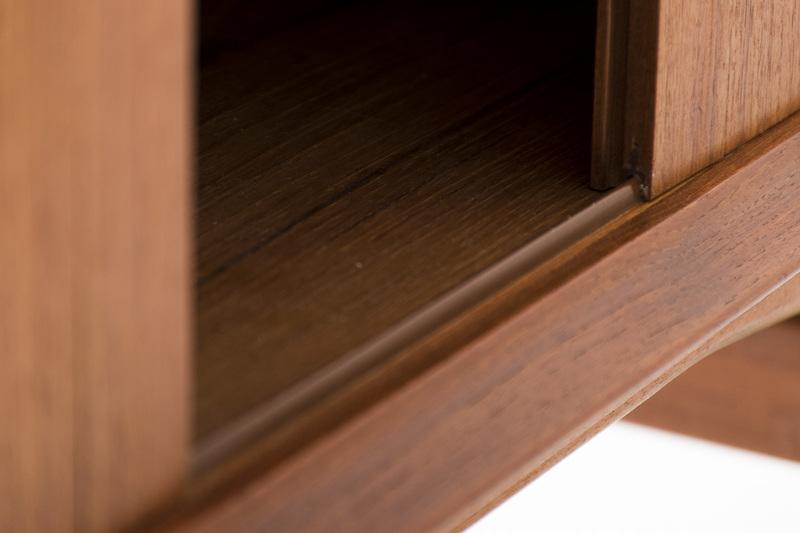 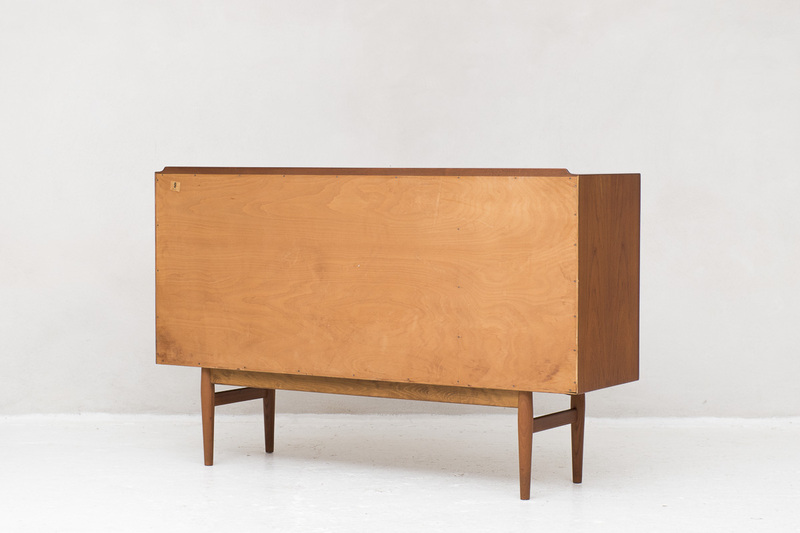 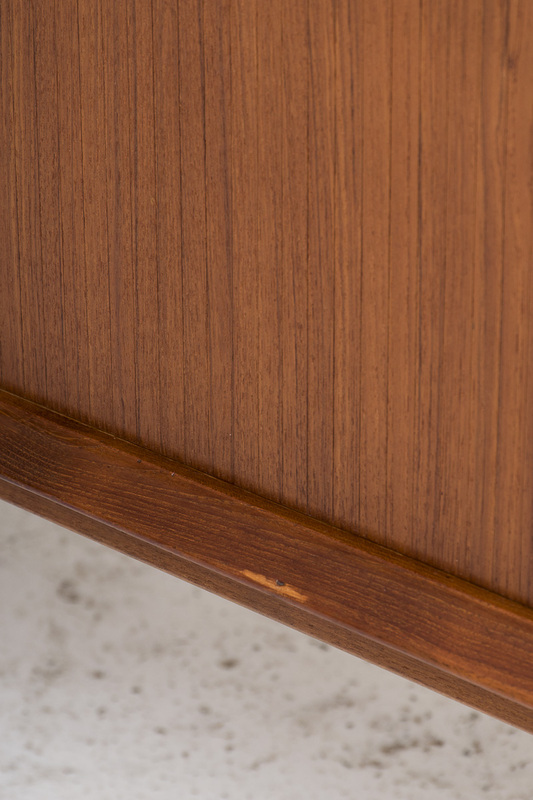 OS63 teak highboard designed by Arne Vodder and produced by Sibast in Denmark in the 1960’s. 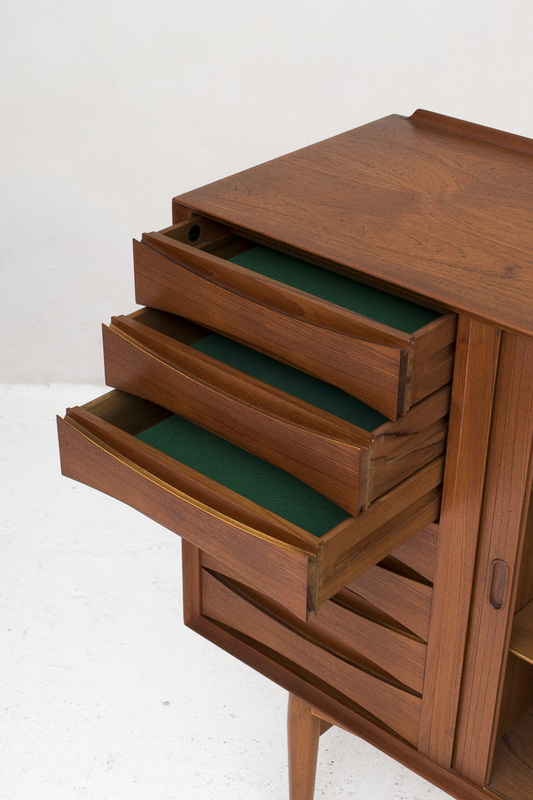 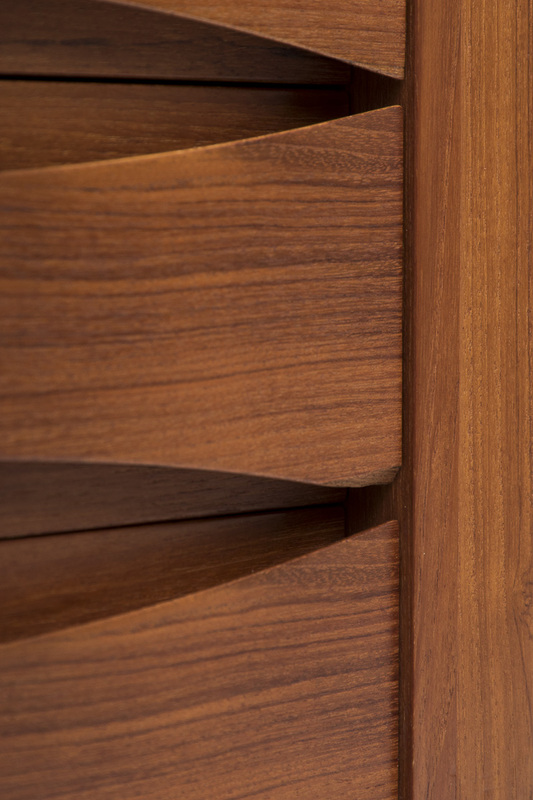 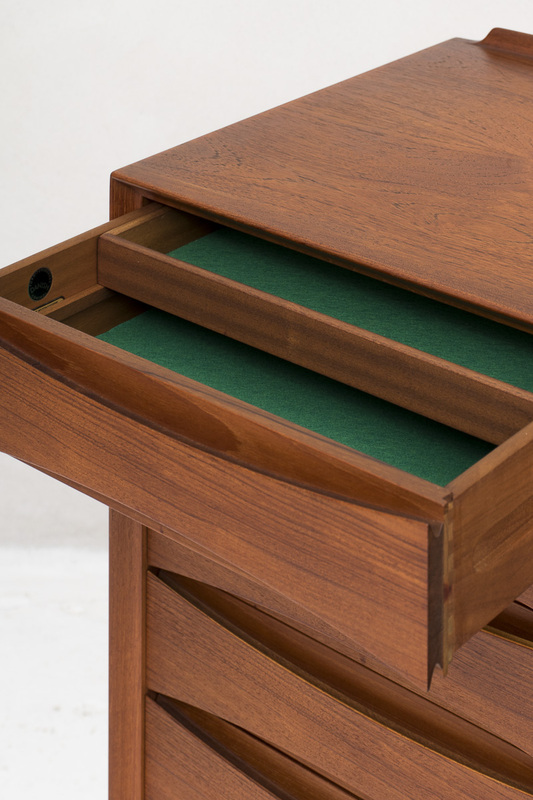 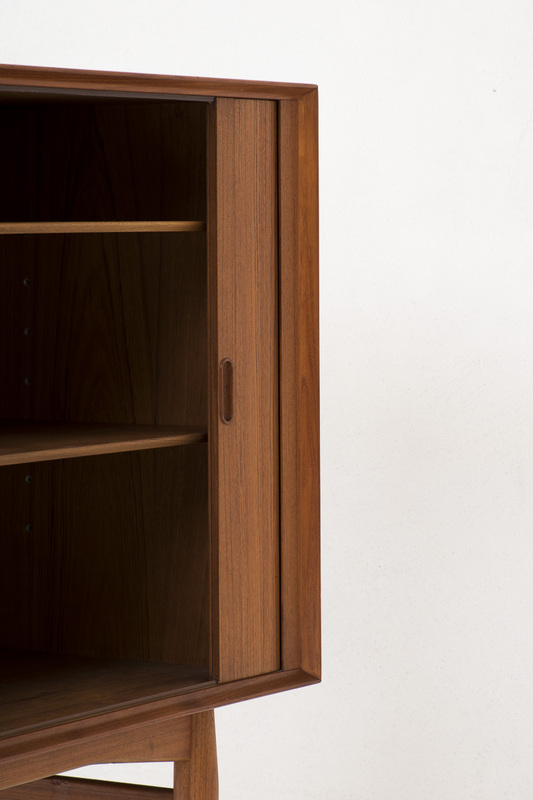 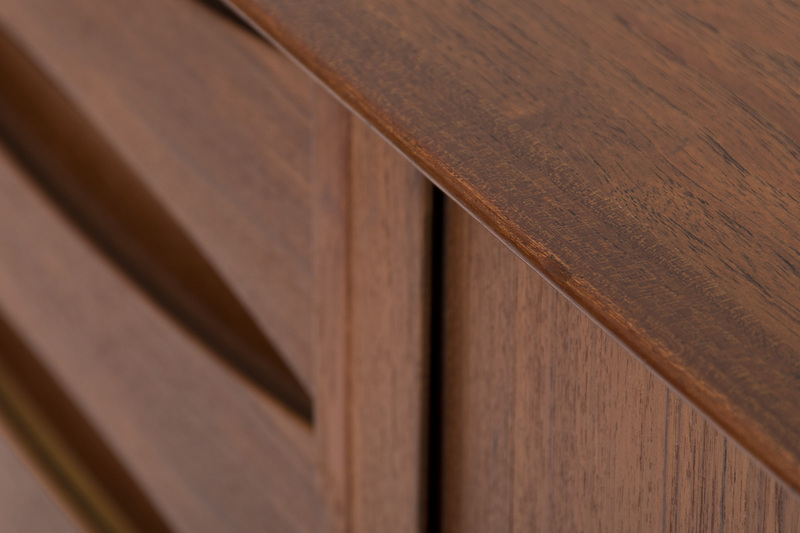 This stylish piece has tambour doors and fine grips on the drawers. 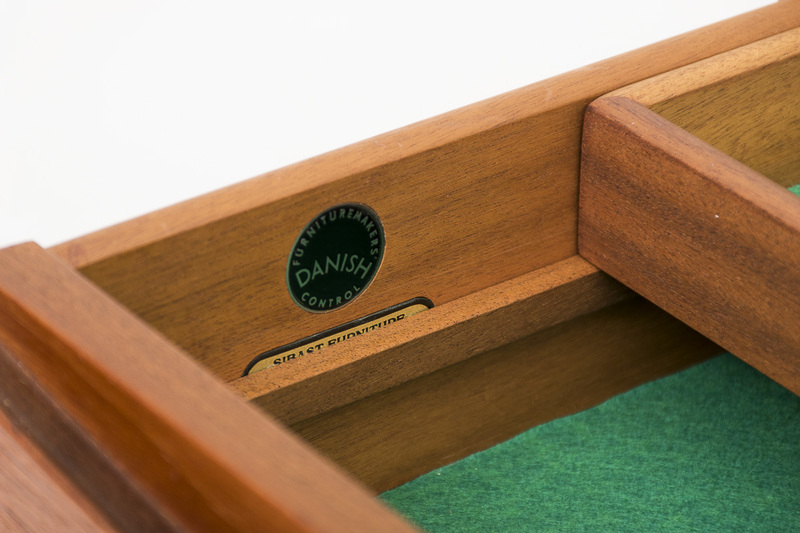 The board is finished with rounded edges and has the Sibast Furniture label. 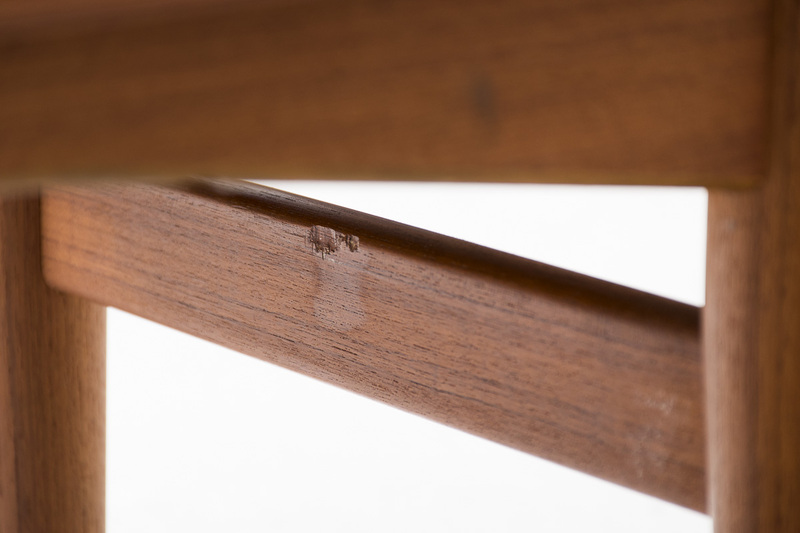 Near mint condition with some wear marks as shown in the pictures.